Some extremely unpopular news has hit the employees of a Harley-Davidson motorcycle manufacturing facility, as the publicly-traded company will close its Kansas City powertrain assembly plant next year, according to WDAF-TV in Kansas City, Missouri. Over 800 workers will be sidelined when the plant shuts down, a significant economic hit to the breadwinners and families in the central US city of about 500,000. Workers for the iconic US motorcycle brand were shocked by the news of the plant's closing, claiming that they never saw it coming, according to local reports. 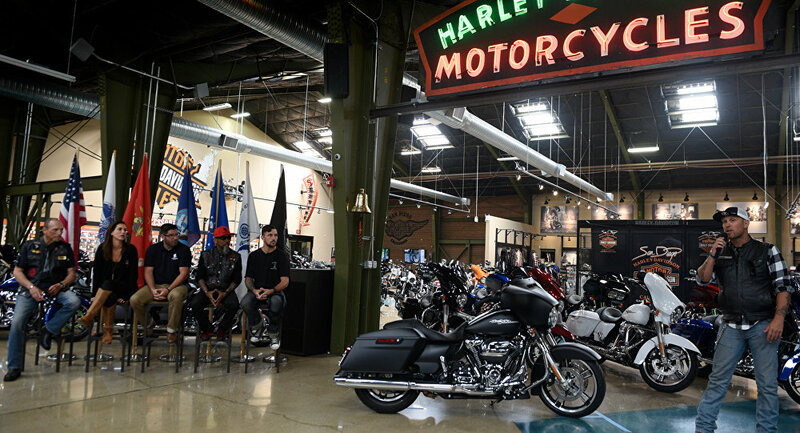 While the company, headquartered in Milwaukee, stated that some employees will be offered an option to transfer to a Harley plant in Pennsylvania, many have pointed out that their lives and history are rooted in Kansas City and they can neither afford nor desire to make the move. "We have a good workforce, and we did as we were told," said Kevin Amos, a 17-year veteran at the plant and the president of the International Association of Machinists and Aerospace Workers for Lodge 176 in Kansas City, cited by WDAF-TV. "We were living in a seven-year concession contract," he added, noting that workers and union bosses were blindsided by the announcement of the plant's upcoming closure. "Workers were hurting," Amos noted, lamenting, "and yet we did everything we were supposed to do." Last year's financial reports revealed a sharp downturn in sales of the highly-visible Harley-Davidson motorcycle brand, resulting in heavy losses. "Where is my next job? What am I going to do benefits wise? I have three kids and [I'm] a single mom," complained Dominique Alstrok, who works at the assembly plant. "Right now I'm going to go home, eat my breakfast and then we'll go look for another job," she added. In business in one form or another since 1903, Harley Davidson currently contracts most of its parts manufacturing to facilities around the world, including Germany, Italy, Taiwan, Japan, and Mexico. The motorcycles are assembled in the US, and two American factories will remain open in Pennsylvania and Wisconsin.